Jeanne, originally uploaded by The Bacher Family. 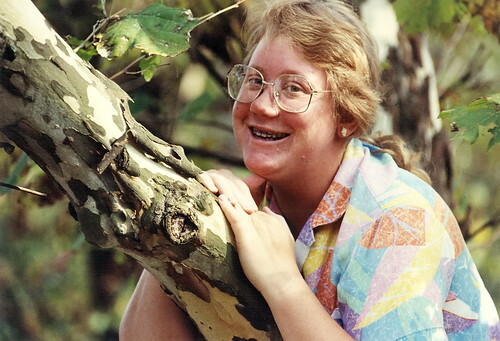 I took this photo of my good friend Jeanne in a sycamore tree at the Merry Lea Environmental Learning Center of Goshen College near Wolf Lake, Indiana in September 1990. I like the pose, colors, and composition, as well as the wonderfully serendipitous repetition of patterns in the leaves, bark, and shirt.